Two Saturdays ago, my husband and I went malling at Trinoma. Since, we are from the South, it was sort of a big thing for us as we don’t normally go farther than Ortigas for gimmick days. Naturally, the first thing that we scouted was the best foodie place to have lunch. We wanted to eat in a place that we don’t usually frequent. One that doesn’t serve the usual fast food. 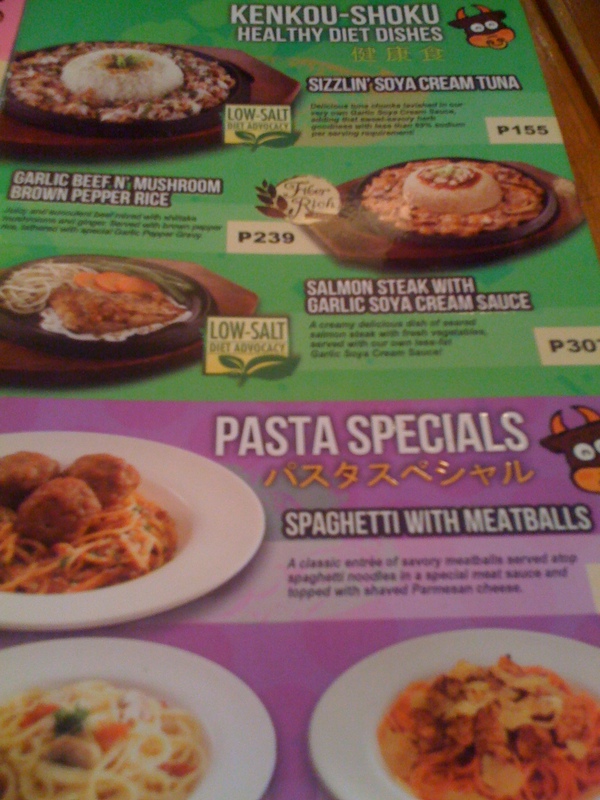 We were looking for a casual restaurant that offers meals that fit our budget of 500 pesos. 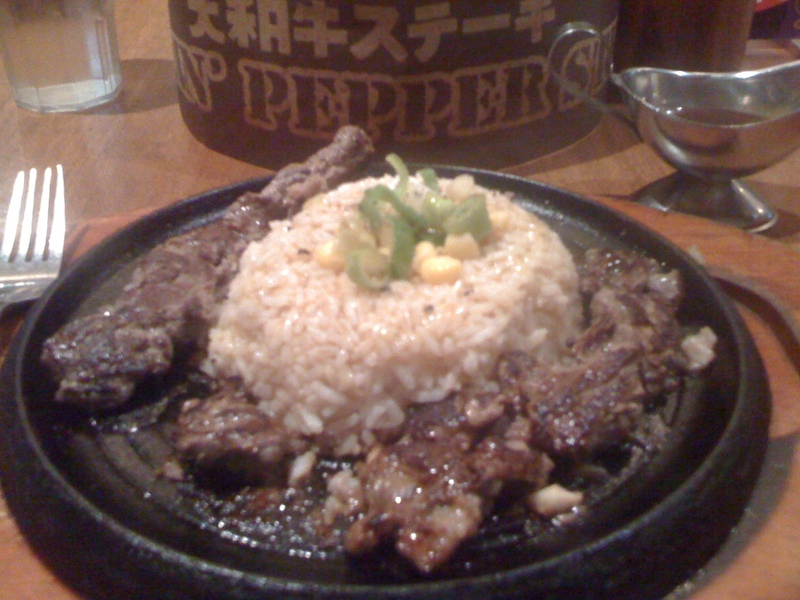 The best choice was The Sizzlin’ Pepper Steak. We noticed how the overhead lighting made the restaurant look cozy and laid back. There were enough cushioned seats at the sides and bench tables in the middle. 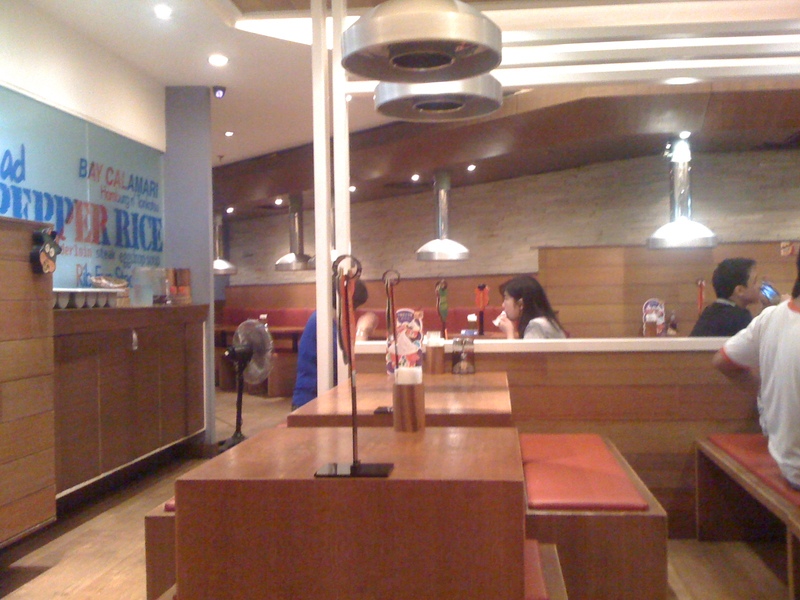 The service staff were extra nice, accomodating and courteous. 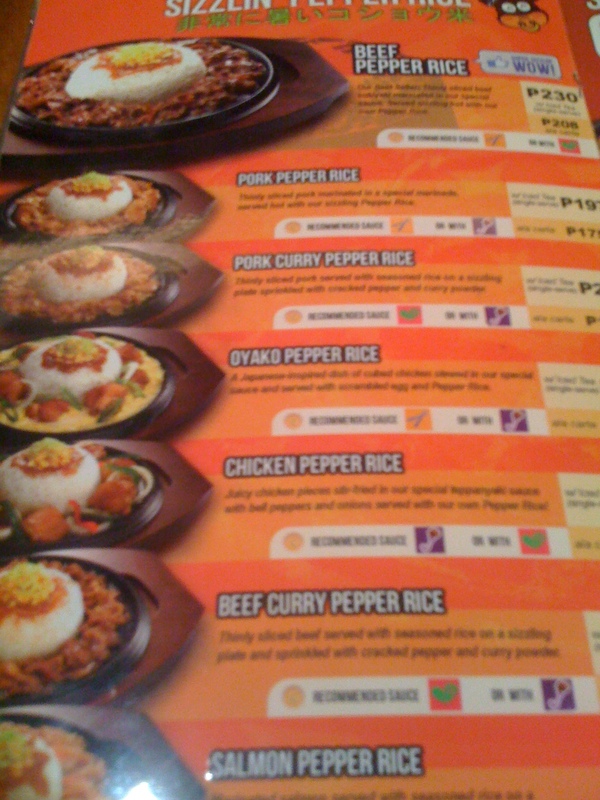 There were a lot of sizzlin’ choices to choose from. Pepper Rice Meals Ala Carte starts from php 192 to php 355 while Pepper Rice Meals with single served iced tea starts from php 197 to php 377. You can choose from a lot of food offerings such as Pepper Rice Overload, Sizzlin Steaks, Soups, Hamburgs, Salads, Pasta Specials, Furai Specials and Desserts. We ordered both their Pepper Rice best sellers. Mine was the Beef Pepper Rice (php 208). The meat is tasty and tender. The Teriyaki sauce that comes with it has the right amount of sweetness, it goes perfectly well with the beef seasoned with salt and pepper. My husband, on the other hand, ordered the Pork Barbeque Pepper Rice (php 197 with single served iced tea) with an egg on top (sorry I just had to say that. hehe). Just like the Beef Pepper Rice, it is tasty. The barbeque sauce was heavenly too. It juicier and more tender than the Beef Pepper Rice though. My husband and I ended up swapping orders. 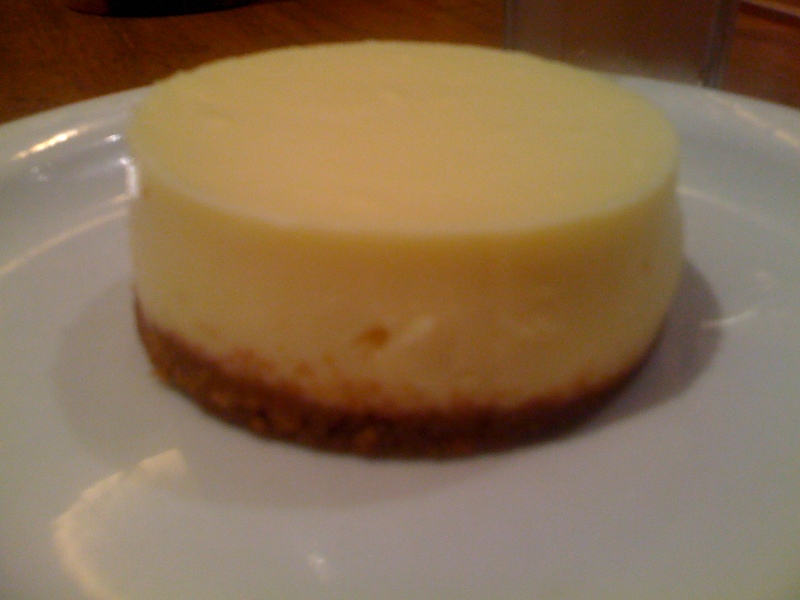 As an extra treat, my husband ordered for me the New York Cheesecake because she knows how much I love cheesecake. It was super delish. 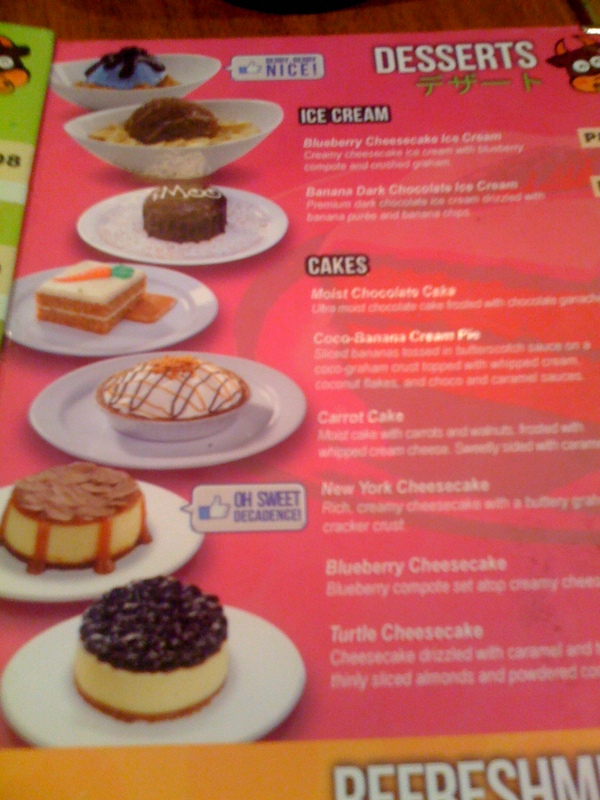 love the place..very cozy…ok lng yan kahit na sumobra ng 500 because of the cheesecake..looking delish naman eh!heheheh!! My boyfriend and I love sizzling food! He’s a beef-lover. lol. 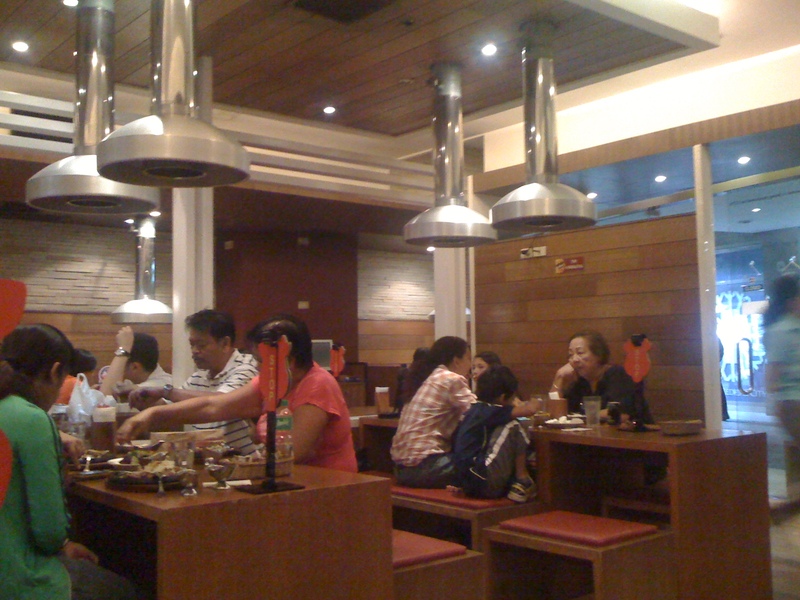 Sarap sa Sizzlin’ Pepper Steak! 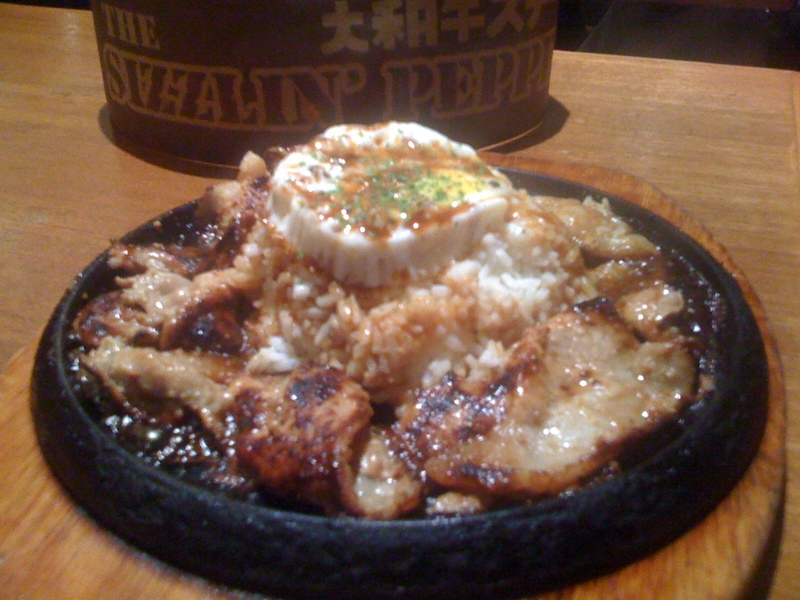 Waaah, one reason I want to buy sizzling plates! lol. Looks yummy pati yung cheesecake, perfect na perfect! Pepper Lunch is masmasarap. Beef pepper rice much more yummy and they are the Original franchise from Japan. Try them at the 2nd floor food choices Trinoma. I am yet to try Pepper Steak, same with Pepper Lunch. Hah, nalito na ako. But both restaurants offer the same meals lang yata. Looks yummy rin. i like the ambiance of the place so ozzy…. tas yung steak… so yummy.. I am from Cavite! San ka? Hmm, cheesecake is delicious. I’m hungry now! the place really looks cozy. i miss the sweetness of teriyaki… i wish i could make meals in teiyaki sauce here..
Oh I’d love to try these foods too- yes! These one’s you’ve posted. LOL! They all look yummy especially the cheesecake and Pork BBQ Pepper Rice. Hi Blanca,its nice to know that you are a filipina 😀 Your a food blogger right? This tastes good! I have salivary mouth right now. I have been visiting various blogs for my dissertation study. Actually i am a food bug, especially i like meat type food, bring me a lot of rubs and marinades but have never tried this brand.